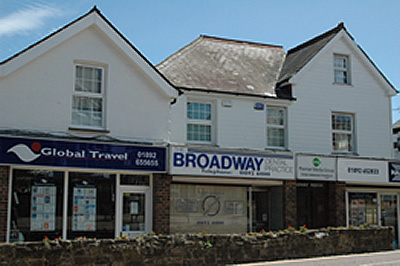 The Broadway Dental Practice started in 1999 and has been in its current location since inception. Ownership of the practice changed hands in February 2006 when Dr David Theunissen and Dr Michael Espach took over the practice from its original owner. Both Dr's Theunissen and Espach had worked as associates in the practice since 2000. 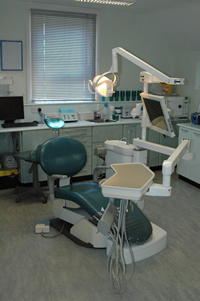 The practice which is now wholly private, boasts three surgeries all computerised and fitted with the latest digital x-ray equipment and digital intra-oral cameras. In addition to this, a digital panoramic x-ray machine enabling us to view the whole mouth is available on site. Radiation exposure is reduced to a minimum. The practice offers its own personalised dental plans but patients are welcome to join the practice as private patients as joining a plan is not compulsory. The practice was certified as a "Nobel Biocare Smile Practice" in 2006 providing both Implants and Cosmetic Dental Treatments. Dr Espach and Theunissen are both qualified to provide orthodontic treatment using "Invisalign" (invisible orthodontics) but also use conventional orthodontic treatments as an alternative. Dr Espach and Theunissen both pride themselves in attending courses and lectures regularly to keep their dental skills up to date. 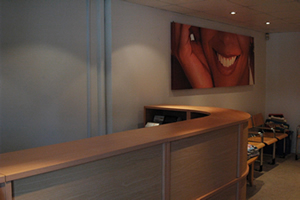 Both dentists completed a year course in Implantology in Manchester in 2006.